This was the 50th anniversary of the Consumer Electronics Show (CES), and it was a blast! 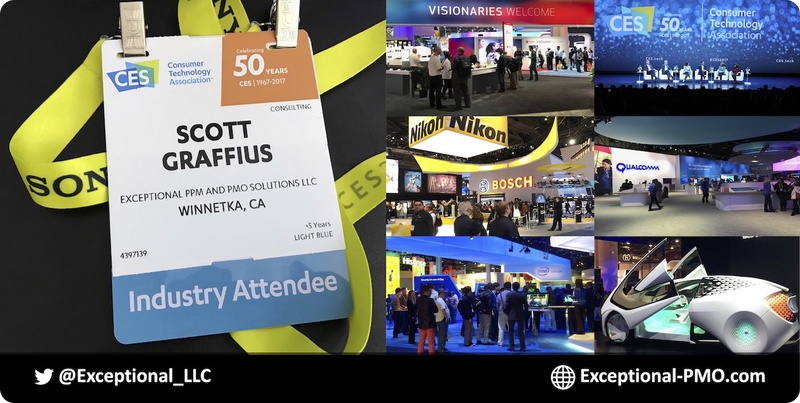 Exceptional PPM and PMO Solutions™ was represented by Scott M. Graffius at CES. Here are a few highlights.